Odors stemming from indoor mold development, water damage, sewage or bio-hazards are unpleasant and difficult to effectively eliminate. More importantly, these invisible odors can potentially disrupt your life and your health. Depending on the source of the odor, the air borne particles can put you at risk of health implications. Offensive odors could be originating from a number of sources both inside and outside the home or business. Whatever the root of the problem, we have the professional products, systems and specialty equipment to remove a wide range of odors so you can breathe easy again. 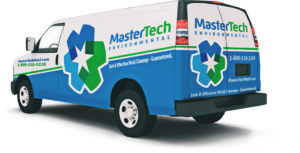 The trained and certified technicians at Mastertech of Tidewater have the necessary tools, skills and experience to get to the bottom of the stench and effectively eliminate the odor. We use the most advance equipment and technology to deodorize your property and ensure proper odor control. If you are in need of odor elimination or deodorization service in your Virginia Area, one of our experts can help.